"Programs" tab allows you to create application icons for user created prefix configurations. You can export q4wine icons into .desktop files by dragging them to you desktop area. 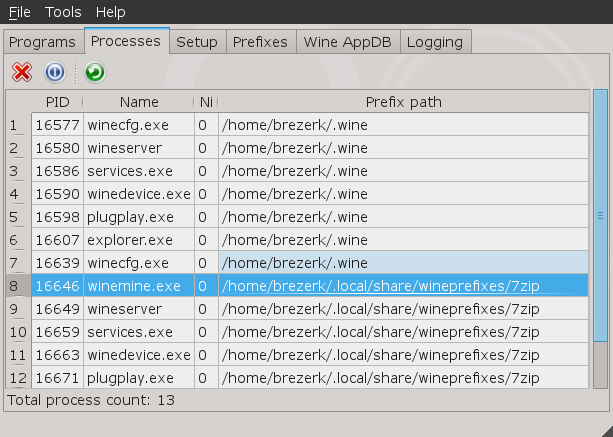 You can also drop .exe and .bat files into q4wine icons view filed to create q4wine icons. It also allows you to use quick mount menu entries. 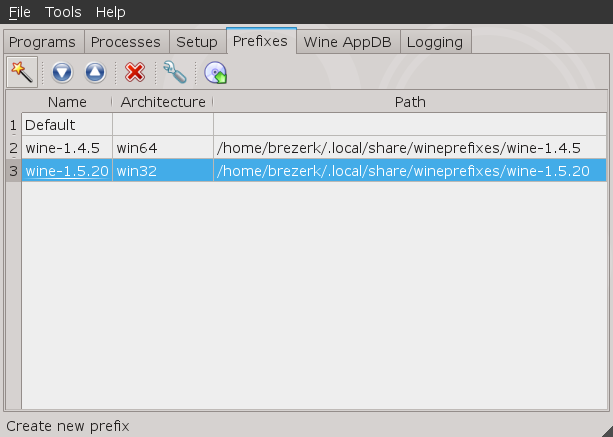 "Process" tab allows you to manage wine running process. 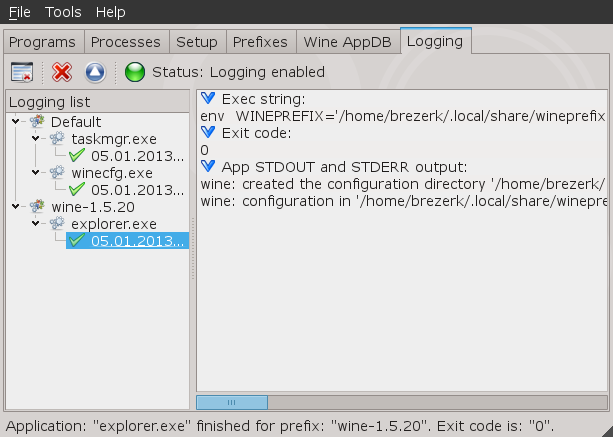 In addition you can use winetriks script plugin. "Prefix" tab allows you to create new or modify existing prefix configuration. 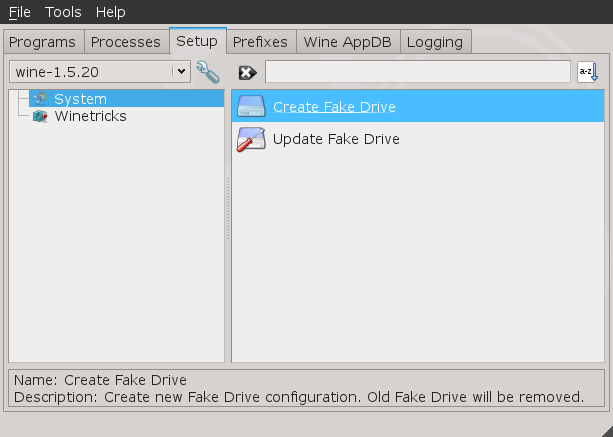 You can use wine prefix backup feature: import or export prefix. 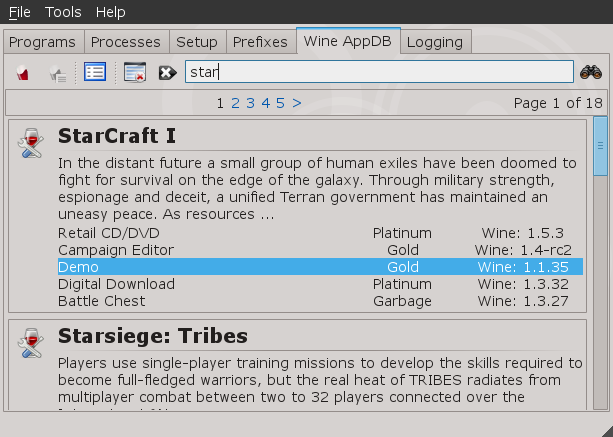 "Wine AppDB" tab allows you to browse wine AppDB database. Note: Because we have no direct access to appdb database, we cant use it actual copy. 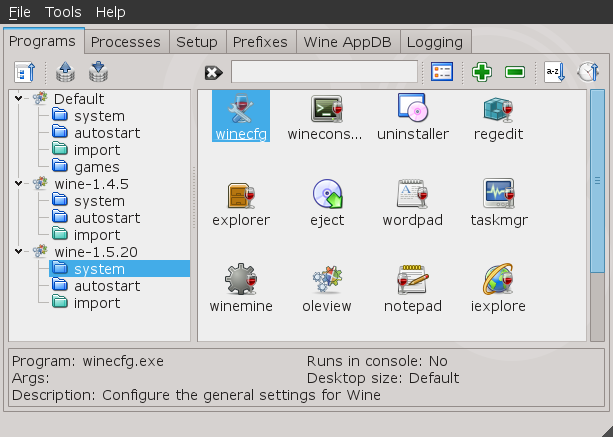 "Logging" tab allows you to log wine application output without running it in system's console. This option is disabled by default, but You can enabled it in Q4Wine settings dialog or via toolbar. Note: Logs database will be cleared at Q4Wine start up by default. If you wish to save log history see Q4Wine settings dialog, but this can reduce Q4Wine performance.